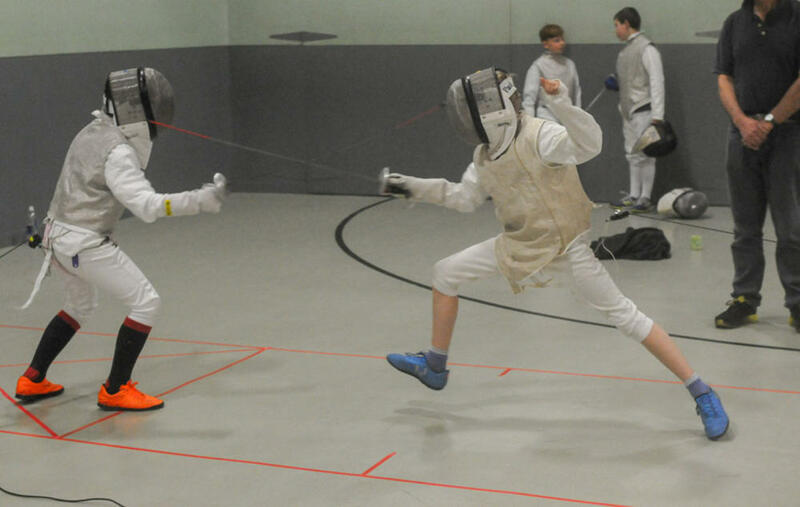 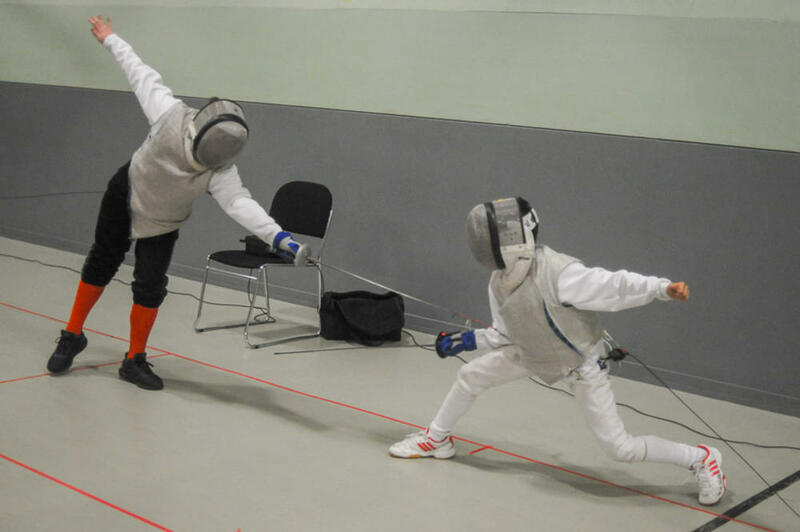 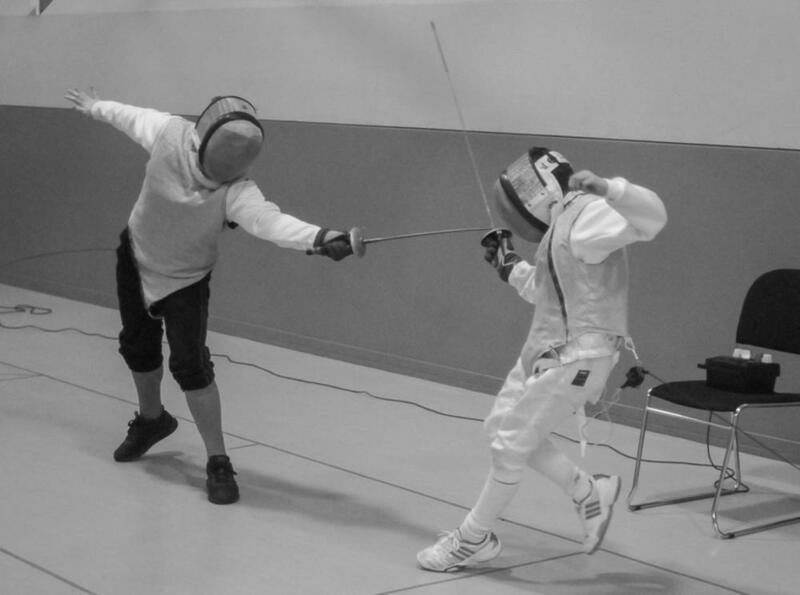 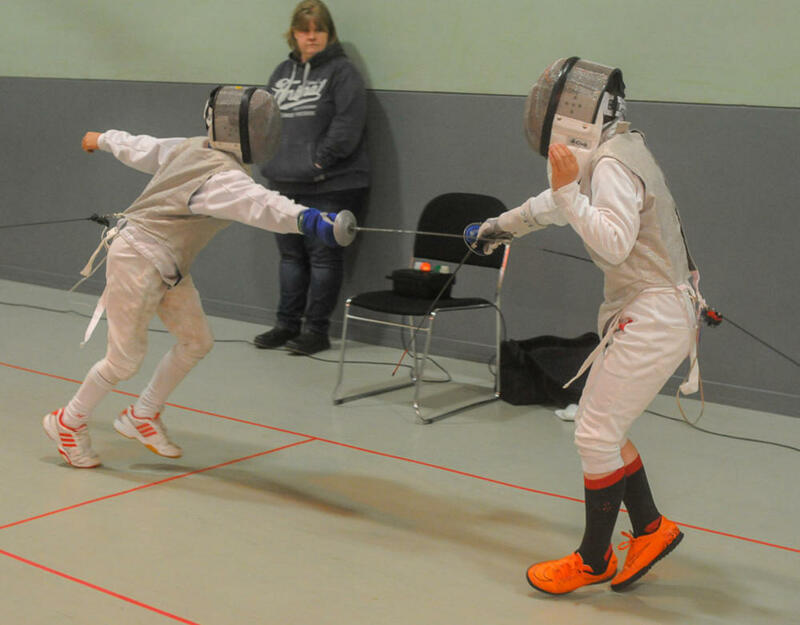 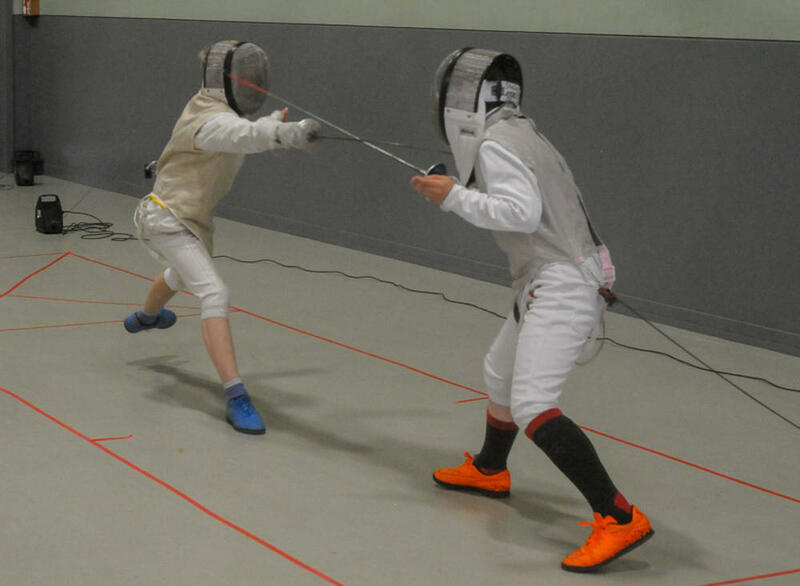 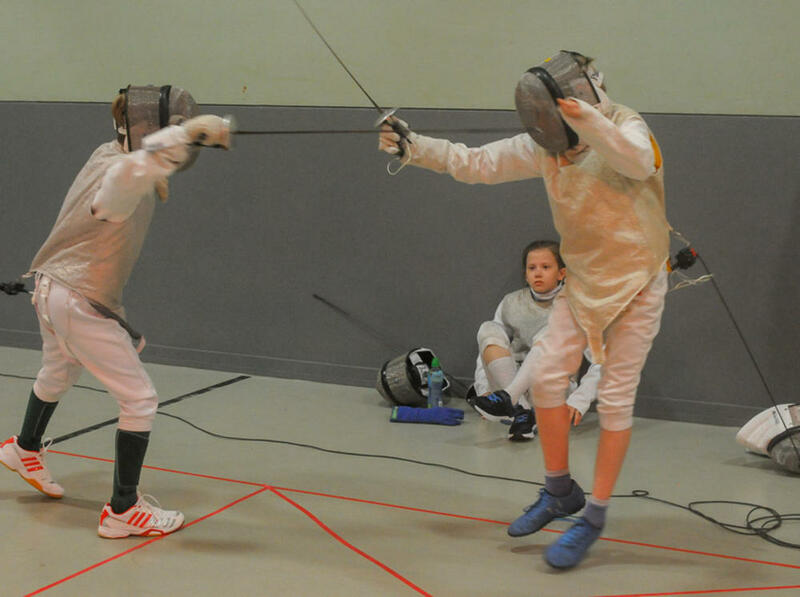 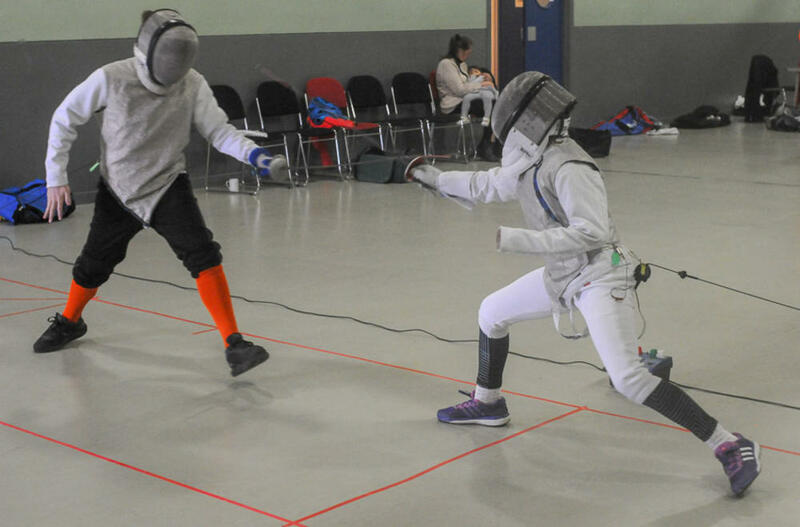 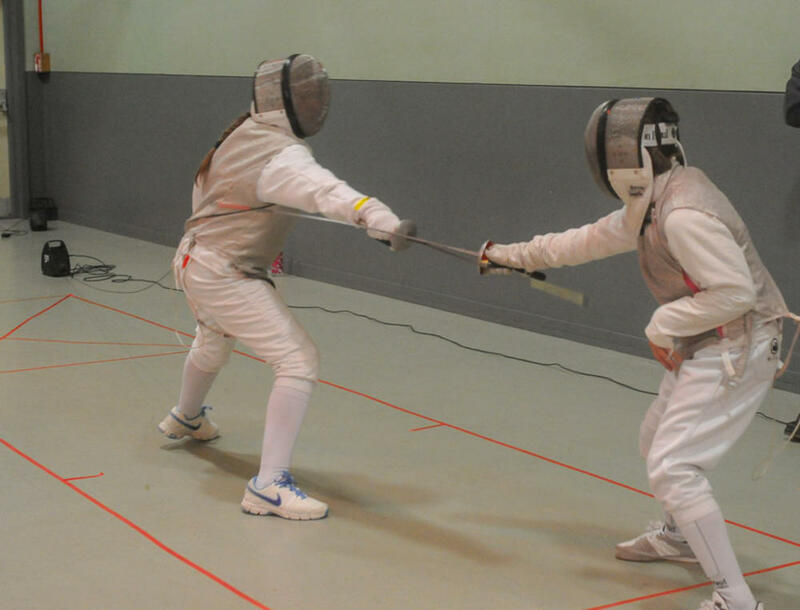 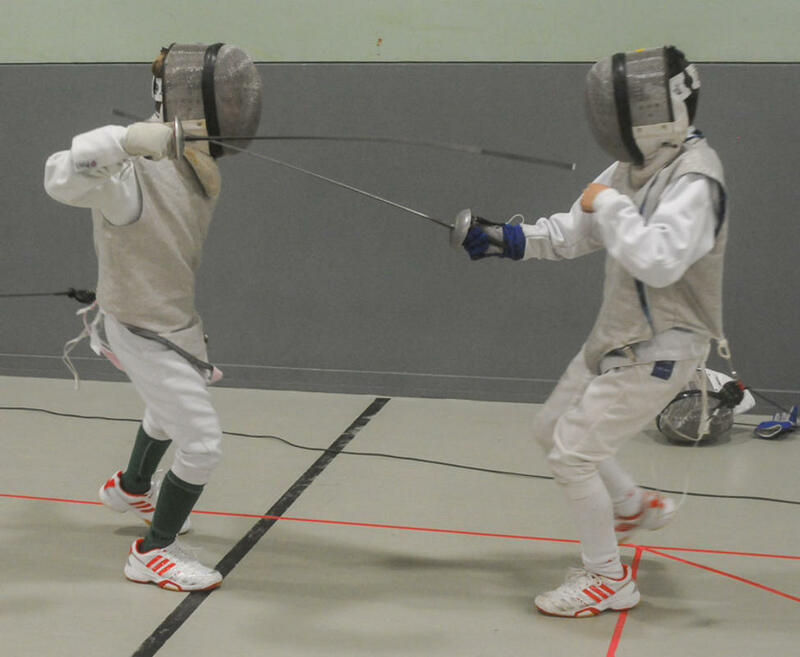 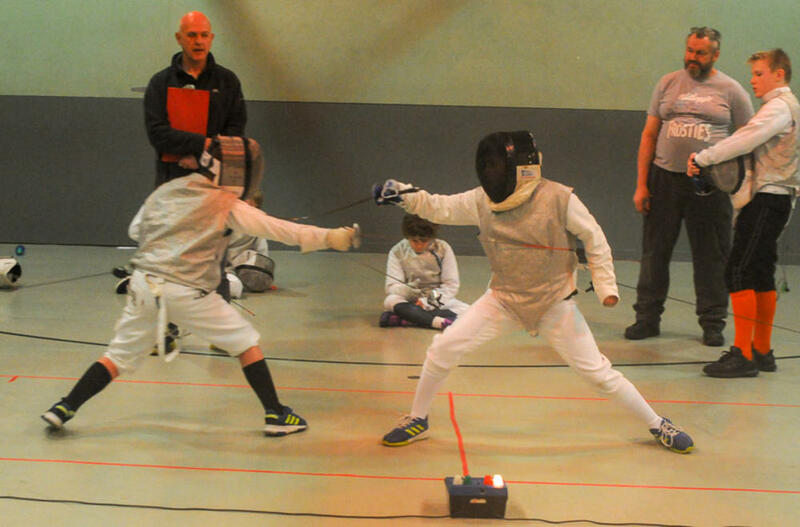 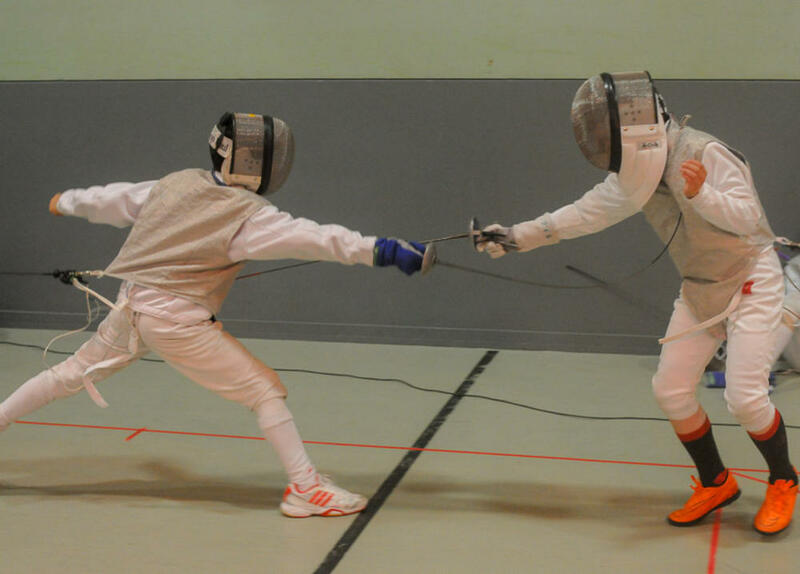 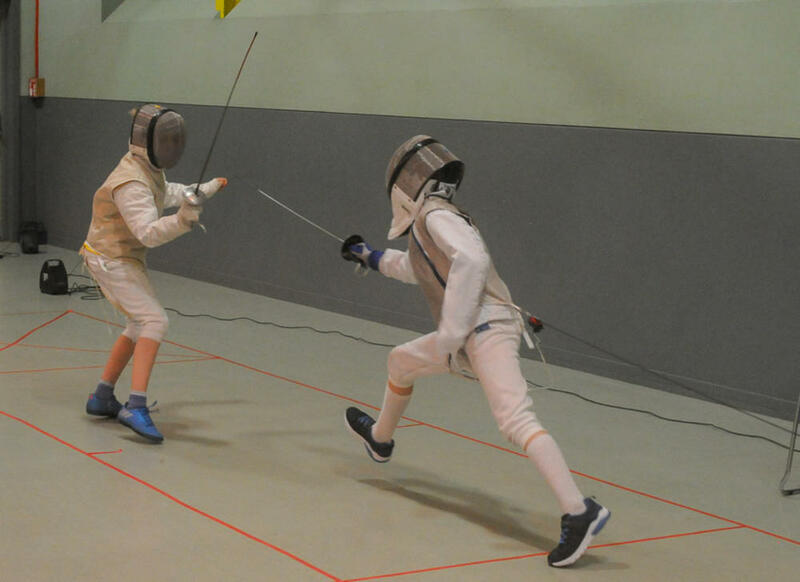 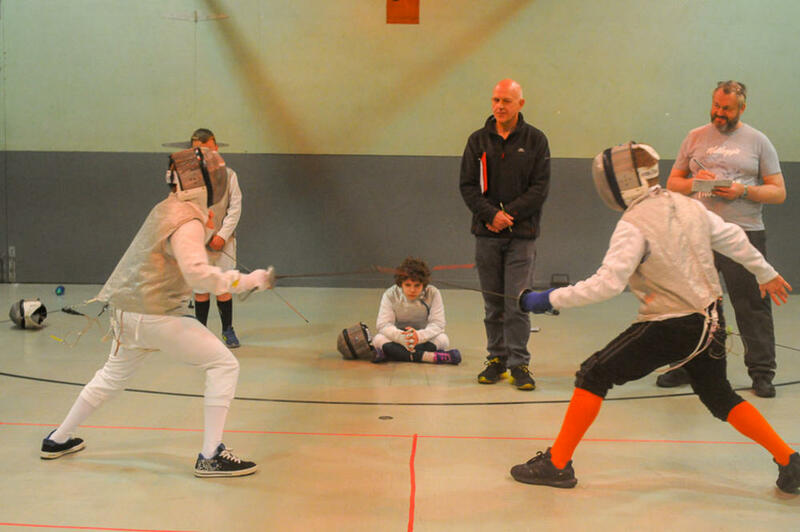 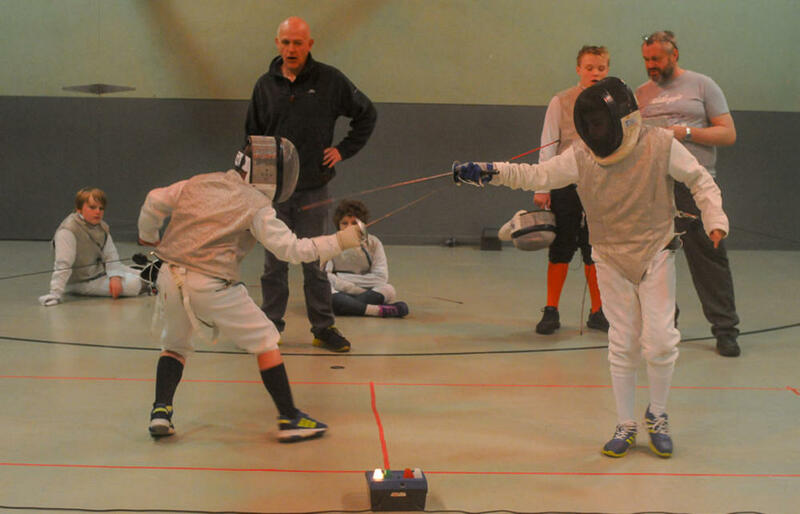 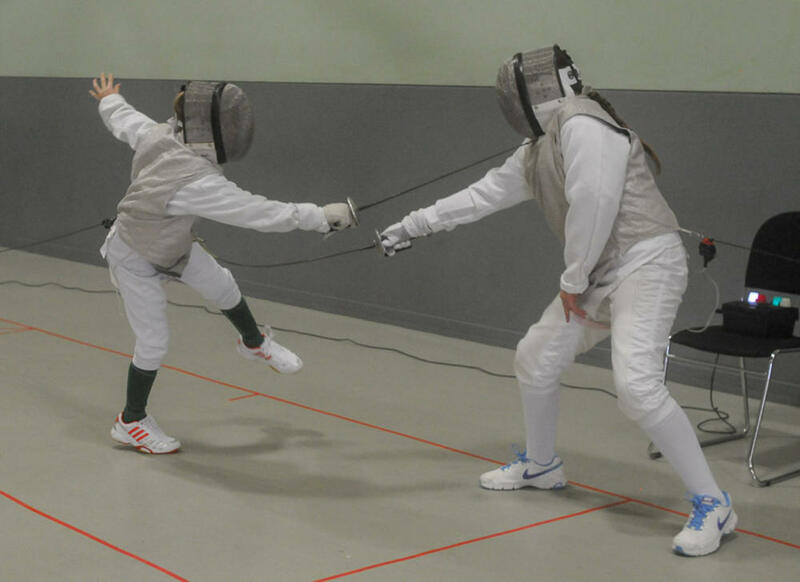 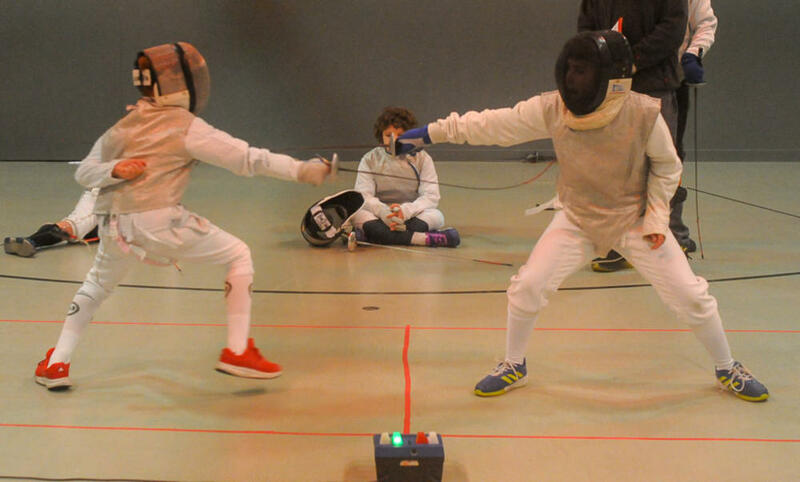 The Club’s annual Club under 13 foil championship was held on the 12th of May at the Gilbertson Park Hall. 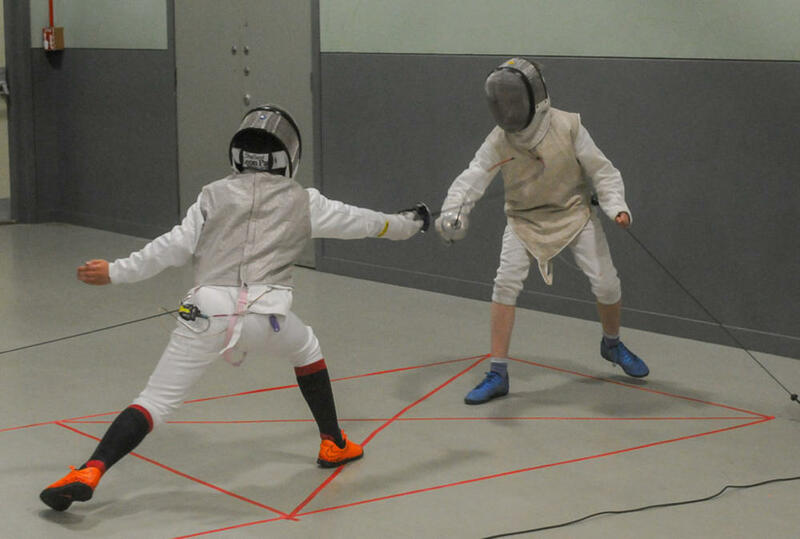 With fencing pistes all marked out, and using the same format as competitions south, this proved to be an excellent day forour young fencers to measure their progress. 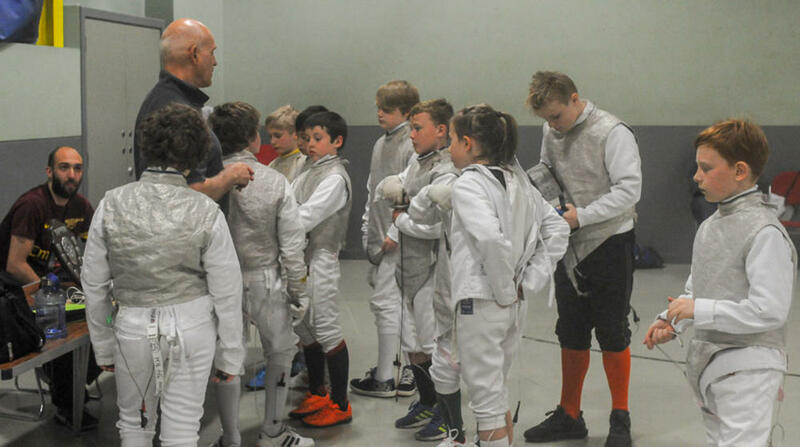 It also made great preparation for the UK wide Age Group competition coming up near Edinburgh in June. 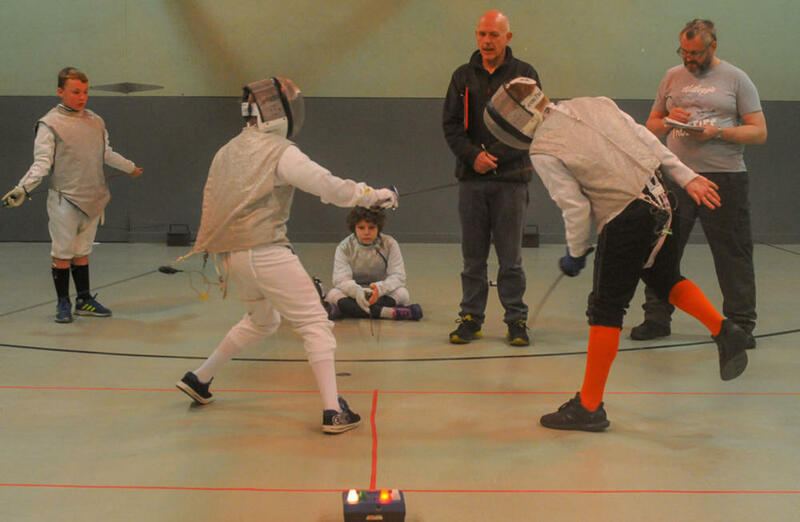 It was great to see some of our fencers from our Aith and Brae club sessions, taking part. 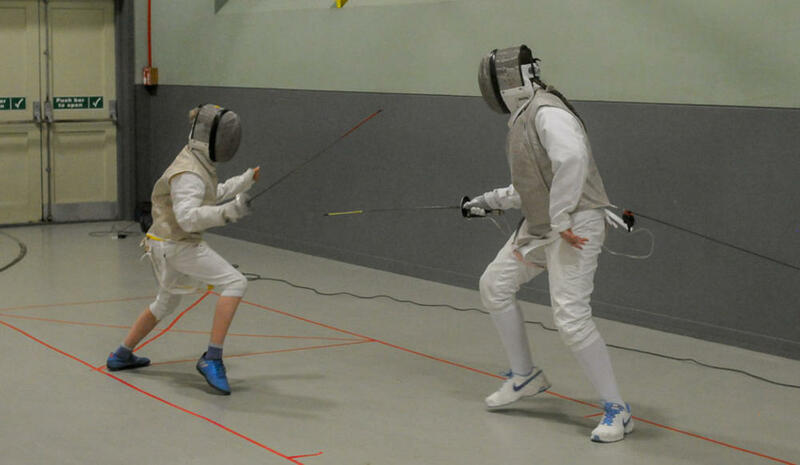 Before covering the fencing, thanks must go to our volunteers, including parents getting involved in helping out with the smooth running of the competition, and providing loads of food to see everyone through the day. 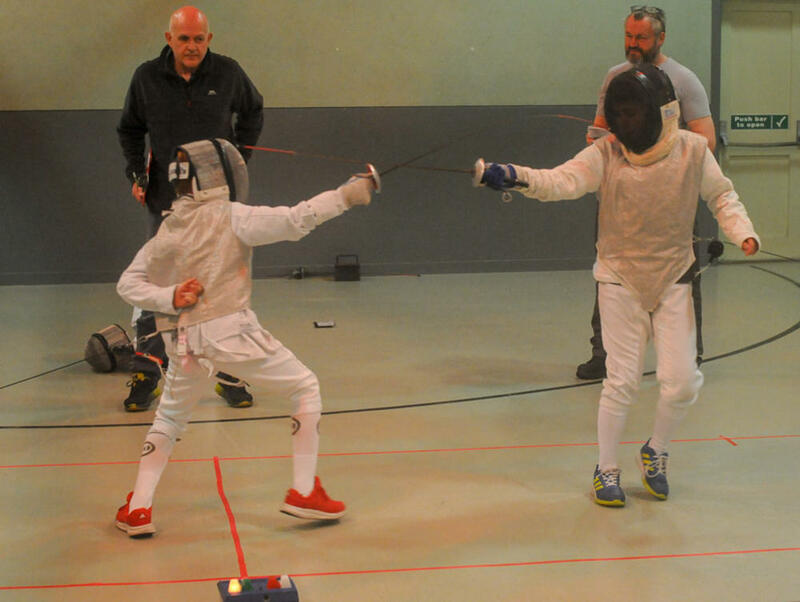 Thanks to Robert for taking all the photos, - a very smalll percentage of which are shown here. 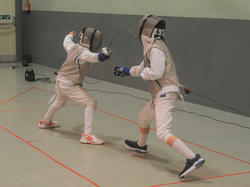 I hope you can all recognise yourselves on the photos. 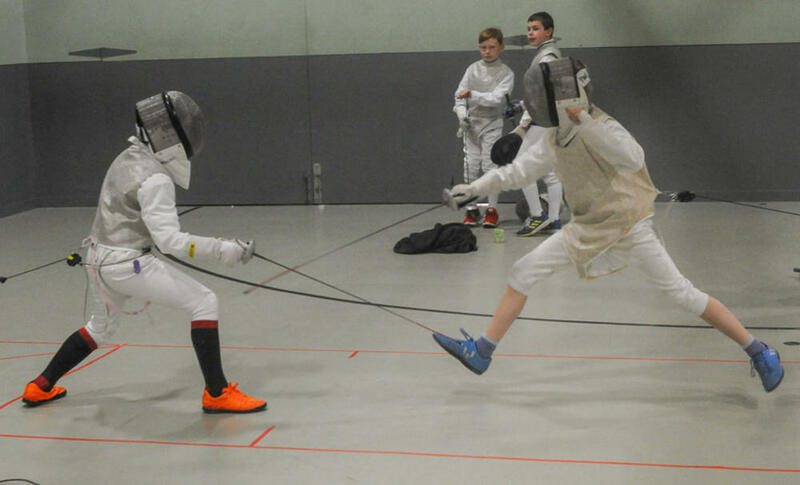 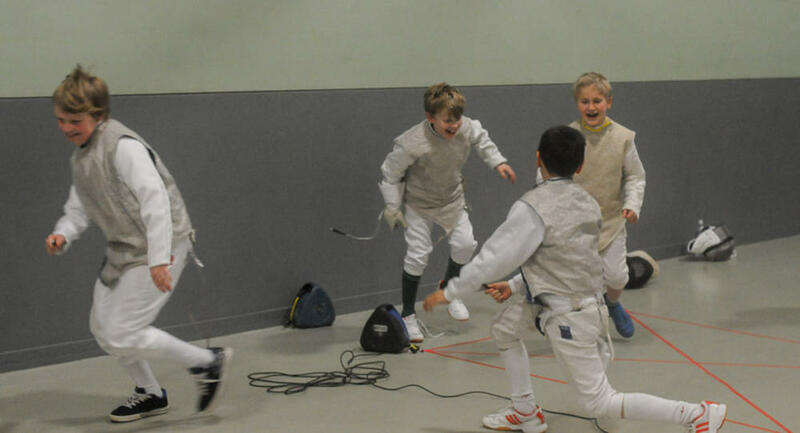 Despite a few illness absences, a good turnout of 13 young fencers started the competition with rounds of poules to get to a stage where direct elimination determined who would contend the final stages. 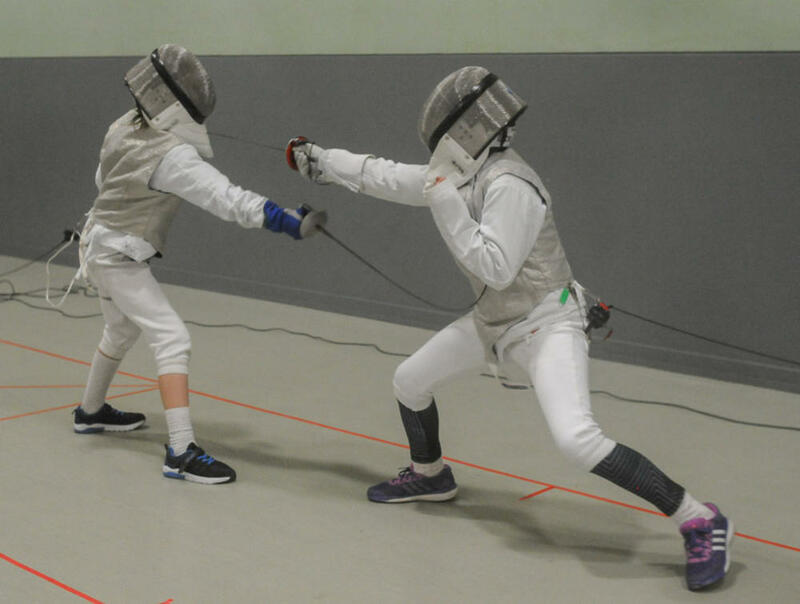 In this age group the emphasis is very much on development and enjoyment, and all our fencers impressed, demonstrating what they have learnt this season. 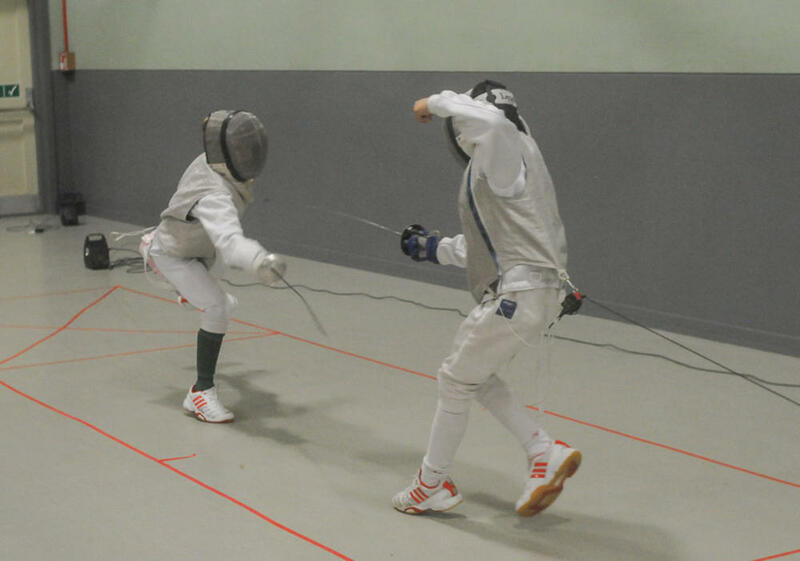 The results showed how close a lot of the fencers are to each other. 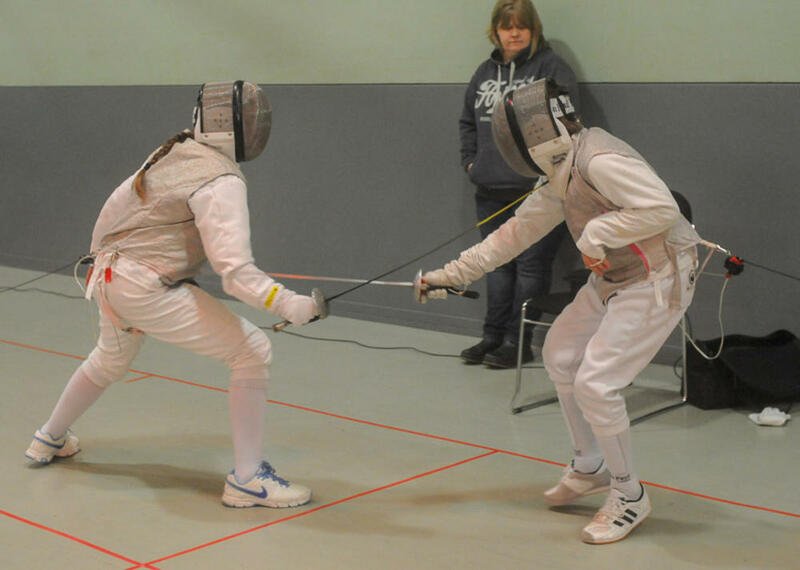 The competition was still hard fought in the later stages and very close. 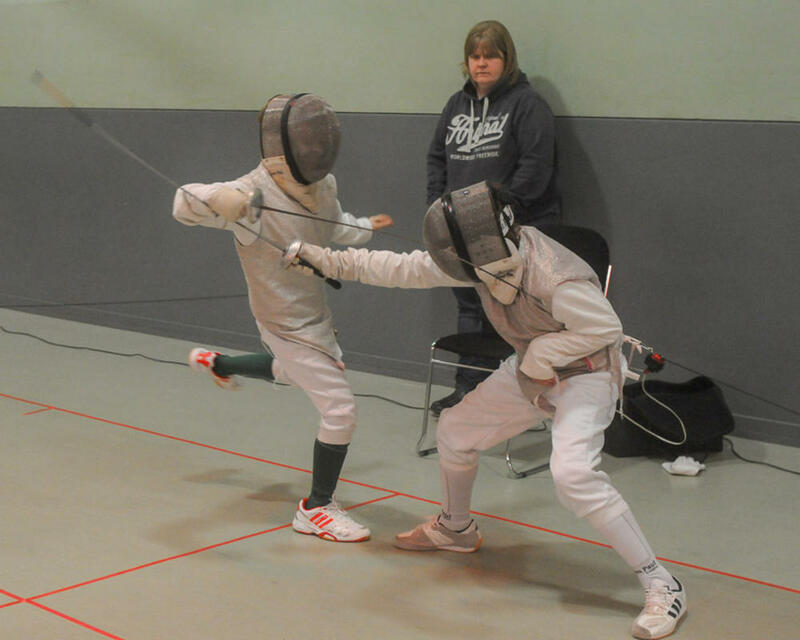 The semi finals were fenced between Charlie Anderson and James Masson, and then Murray Todd and Kristian Poleson. 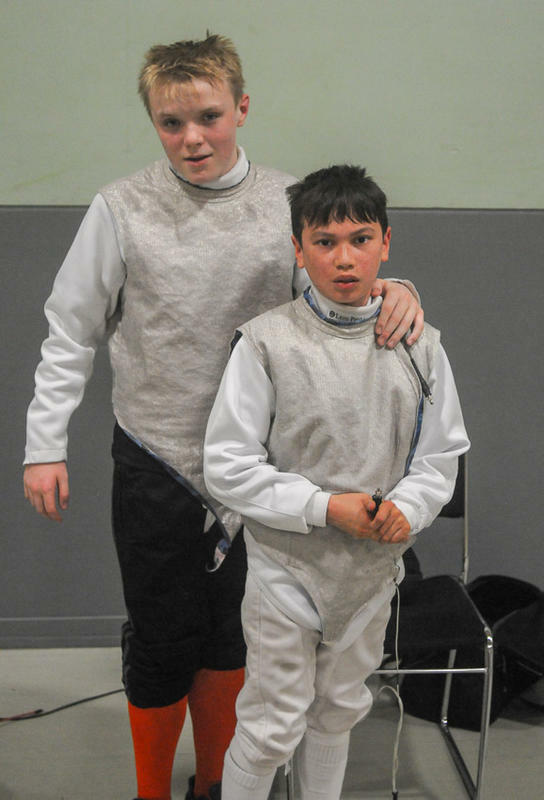 James and Murray won through to the final to set up a close fought match, with James coming through to win the Gold medal.